This week we’re pleased to cast the spotlight on AnyPerk — a San Francisco based startup that provides employee perks and benefits to other startups and small companies across the U.S.
AnyPerk provides perks to employees of small and medium sized companies on behalf of a large network of vendor partners. These perks, in turn, “help create a rewarding work environment” for the employees who receive them, according to AnyPerk. 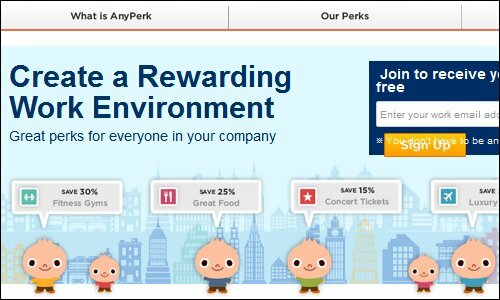 Individual employees can sign themselves up on AnyPerk’s website to gain access to its database of perks. However, AnyPerk recommends that the signup request should originate from the appropriate company HR executive, manager or employer. In the eyes of the employees of a company, “it acts as an endorsement and an incentive for others to join AnyPerk if the signup comes from the top,” says AnyPerk’s Director of Business Development, Fernando Campos. More than 2,000 companies and their employees have signed up for AnyPerk since the startup launched in March, 2012. “We have hundreds of participating vendor partners,” adds Campos, “and we’re adding more all the time.” While the company is still it official beta release, the service is free to employees, participating companies and vendor partners. 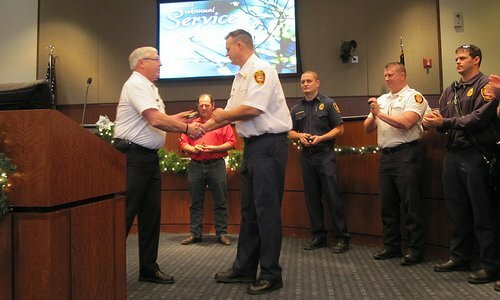 Mr. Campos says the service will always be free for employees, and for the vendors that supply the perks. The sweet spot for AnyPerk is providing benefits and perks to small companies that might not be able to avail of perks usually reserved for larger companies (with huge numbers of employees). AnyPerk pools together a network of small and medium-sized companies; the collective number of employees is more attractive to the vendors supplying the perks. In this way, even companies that employ only a couple of people can benefit from perks offered by companies like Avis, Dell, DirecTV, and more. Of course, any company can sign up for AnyPerk, no matter what its size. According to AnyPerk, employers benefit from increased employee morale and retention when their staff receive non-monetary rewards like perks, deals, discounts, and so on. “The trouble with a lot of perks,” says Campos, “is that they’re not relevant to the employees who receive them, or they’re hard to distribute and redeem.” AnyPerk solves that problem by providing an easy to use clearinghouse for hundreds of valuable perks, from a variety of well-known brands. Participating vendor partners have a means to distribute perks to a subset of employees they might otherwise miss in their marketing campaigns: employees from very small companies. Where it might not make economic sense to target small numbers of disparate employees spread across the entire country, AnyPerk amalgamates them into one large target audience (now in the thousands) that appeals to even the biggest brands. 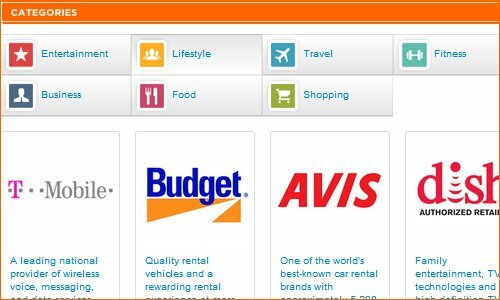 If you’re en employee of a company, begin by signing yourself up to receive perks from AnyPerk’s partners. Then, spread the word and encourage other employees or your management to sign up the entire company. If you’re an employer, ask your staff if they’d like to participate in the program. It’s unlikely that they will decline the offer to get free deals, coupons and offers from some of their favorite brands. You’ll not only be providing a valuable service to your employees, you’ll be sowing the seeds of increased employee morale and retention at the same time. Finally, if you represent a brand that offers perks, deals or discounts as part of its marketing mix, contact the folks at AnyPerk to become a vendor partner. The startup community, in particular, is heavily influenced by perks for its employees, so if your company operates in that space, AnyPerk provides a market that might be just what you’ve been looking for. While the perks employees receive are free, AnyPerk will eventually charge a fee to the companies that subscribe to its service. In the meantime, companies that sign up for the service during its beta release will never be charged for the service, according to Fernando Campos. So, there’ll never be a better time to sign up with AnyPerk than right now! You can reach out to AnyPerk through its website, on Twitter, or on Facebook.